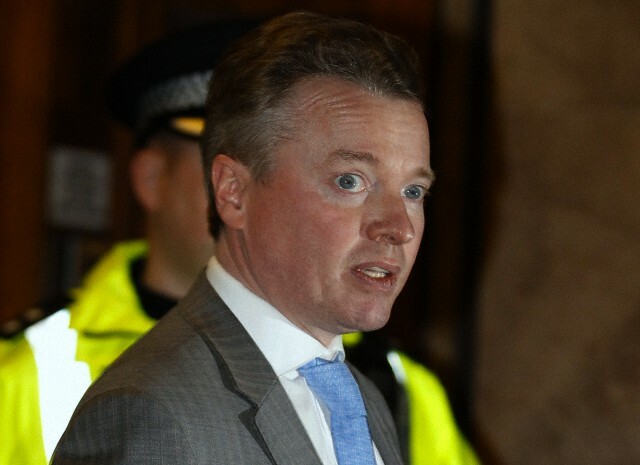 The appearance of Craig Whyte at Glasgow Sheriff Court on Friday 29th November brings to five the total number of accused persons charged with involvement in the allegedly fraudulent takeover of Rangers Football Club in 2011. All of the accused have made initial appearances in private at Glasgow Sheriff court and have been released on bail. Court reports of such hearings usually state that "the accused appeared in private and made no plea or declaration. He was granted bail and no future court date was fixed "
So, what does that mean and what are the likely timescales that lie ahead before a trial is held in this case? When an accused is charged with a serious offence, they appear at a Sheriff Court and are prosecuted on solemn procedure ( the procedure for less serious matters is called summary procedure). Before the court appearance the accused is served with paperwork prepared by the Procurator Fiscal (the Prosecutor in Scotland) and this will provide the details of the charges that the accused now faces. Legal advice is provided at this stage and throughout the procedures to follow. The accused then makes an appearance in private before a Sheriff, known as the "first appearance "and normally makes "no plea and declaration " – this isn't a plea of guilty or not guilty , it is in reality a formal step that starts the case off and is the way in which the vast majority of solemn cases commence . The question of bail is then discussed and if granted the standard conditions of bail are imposed , such as that the persons attends court for future hearings , does not commit any offences while on bail and makes themselves available for background court reports if required. Extra conditions of bail can be imposed – for Mr Whyte he required to surrender his passport thus preventing him leaving the United Kingdom. Disclosure of the Case - After the "first appearance" is made the Crown must move quickly to disclose the Crown case to the solicitors of each of the accused. This means that all of the information relevant to the case that is held by the Crown should be given to the defence – and this includes witness statements, documentary productions such as bank statements, emails and transcripts of police interviews. The defence solicitors will examine this evidence, take instructions from their client and also then make their own investigations. This process usually continues throughout the months leading up to the trial, especially for complex cases such as large scale fraud. Trial date - All accused in this case are on bail. This means that the timescales for commencing a trial are longer than they would be if any of the accused had been remanded in custody for trial. The case is prosecuted by the Crown and they must bring the case to trial within twelve months of the accused's first appearance. The Crown will normally look to try all accused at the same trial rather than holding separate trials for each accused. At least twenty nine days before the next court appearance the Crown require to serve important paperwork called "the indictment " upon each of the accused . The indictment - The indictment will contain the names of each of the accused and the details of the charges against all accused. Witness details and a full list of Crown productions will be provided too. The indictment will also identify which court will hear the proceedings as cases on solemn procedure can be heard at either the Sheriff court (where sentences are restricted to a maximum of five years imprisonment) or the High Court of Justiciary, where sentencing powers are unlimited. The indictment will also provide the date and time of the next court appearance. If the case is to be heard at the High Court the next court date is called a Preliminary Hearing. In the Sheriff Court such hearings are known as a First Diet. Pleas entered - At the start of such hearings each accused requires to plead guilty or not guilty to each of the charges that they face. The defence team at this stage can choose to lodge any "preliminary pleas" that they have – perhaps where they say that the case should not proceed at all against an accused due to a legal reason. The court may fix a separate hearing to deal with such issues and if successful this could mean the entire prosecution comes to an end against that accused. If refused a not guilty or guilty plea requires to be made. Pre- trial - If not guilty pleas are recorded and the Crown want the matter to proceed to trial the hearing will progress like a "pre-trial " hearing where the Court enquires about the state of preparation of all parties for trial , details of witnesses and productions and whether there is evidence that can be agreed that will make the trial run more smoothly . The accused at this stage may also lodge notices which are known as " special defences " and these cover such things as stating an alibi defence , or blaming a co-accused or other person. Trial - Once these matters are dealt with the case will then be continued to trial and a jury will consider the evidence and decide whether each accused is guilty or acquitted of each charge. Acquittal means that the accused has been found either not guilty or not proven in relation to the charge – both verdicts mean that the accused is acquitted and that the matter is at an end . If guilty pleas are returned the Judge would then sentence each convicted accused after hearing a plea in mitigation. Mitigation - If the accused pleads guilty at the Preliminary Hearing stage and this is accepted by the Crown the Judge would then be told about the circumstances of the crimes. The accused would be represented by an Advocate or Solicitor Advocate who would conduct what is known as a " plea in mitigation " – a speech where the involvement of the accused in the crime is explained along with providing details of their personal circumstances , previous good character if appropriate and any other relevant information . The Judge will consider all of the relevant information placed before him or her, including any background or medical reports and will then proceed to sentence the accused. The accused would normally receive a discount in sentencing due to the fact that the guilty plea was entered at a relatively early stage and meant that a trial wasn't required. When there has been a trial and the accused is then found guilty , no discount is applied. 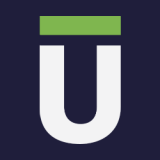 For more information about the criminal justice system or criminal law, read our guides for free legal advice online.